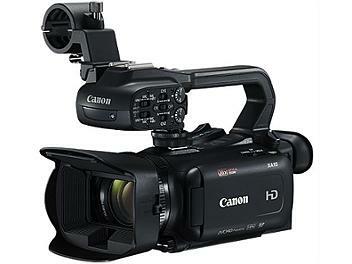 The Canon XA15 is a compact handheld Full HD camcorder with a 20x lens and HD-SDI output. Selectable High Speed and Soft Zoom modes available. Dual Format recording, Double slot (simultaneous) recording and Relay (continuous) recording possible. HD/SD-SDI output : YES, BNC, output only, Video, embedded audio and time code.